Seif El Rashidi is a historian of Islamic art who worked in historic Cairo for a decade, where he was first captivated by the tentmakers, and their splendid textile creations. 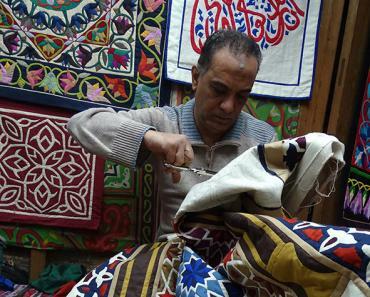 This talk and textile handling session is the result of several years of research into the tent making tradition, leading to his newly published book: The Tentmakers of Cairo: Egypt’s Medieval and Modern Applique Craft, (with Sam Bowker). The book was supported with the financial assistance of The Barakat Trust.